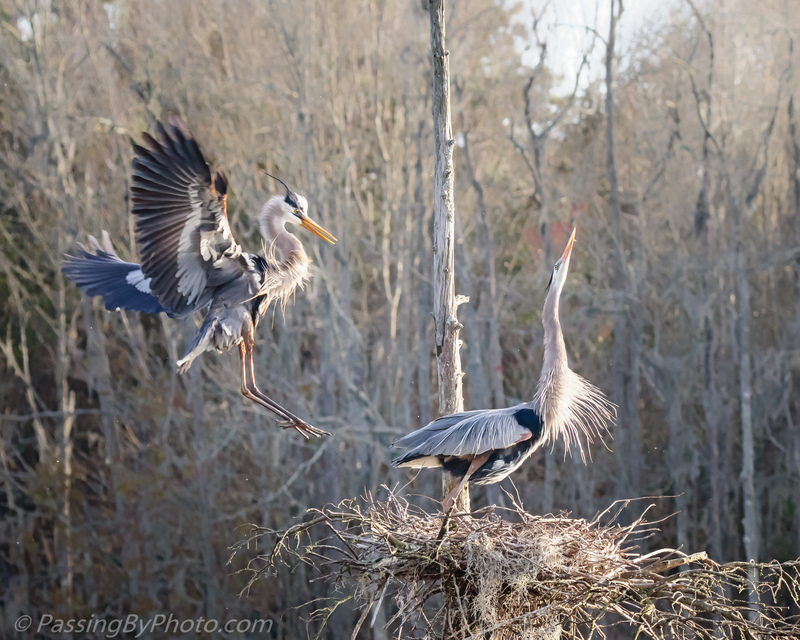 The Great Blue Heron on the nest usually alerts when the mate is returning giving the photographer a moment or two to figure out the direction before touch down occurs. 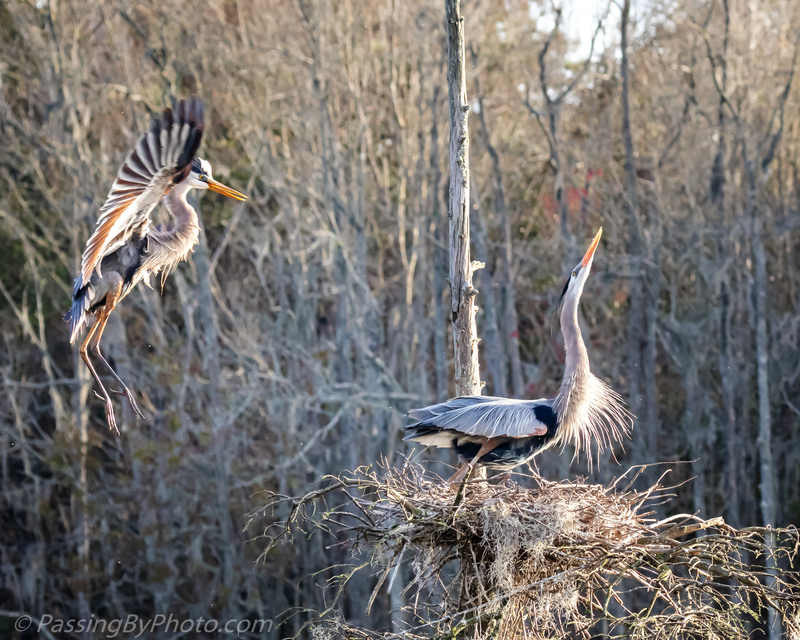 These two showed off their finery as part of the greeting ritual. 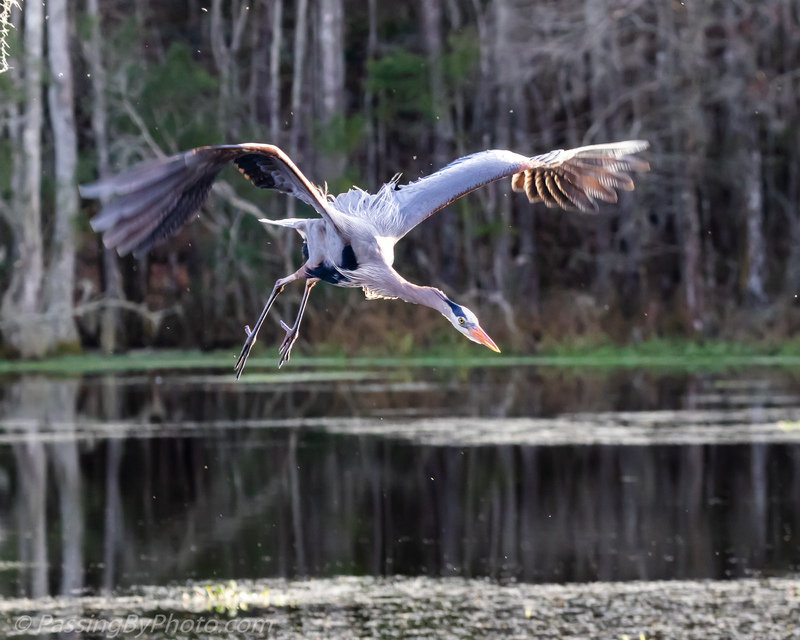 In this case the GBH that had been on the nest wasted little time on the greeting, immediately swooping off to do her thing. It was late afternoon and she wasn’t going to have much time to feed before dark.